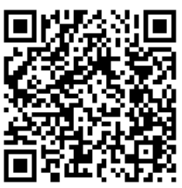 W.Ming International Ltd. is a private art advisory and consulting company founded in 2010 by Xiaoming Zhang. The company is registered in Hong Kong, China. W.Ming Art represents artists for exhibitions and sales, and provides private sales and art advisory services for private and institutional clients globally. W.Ming has professional team members in Europe, America, and Asia; the company specializes in international modern and contemporary art, especially in the field of Asian modern and contemporary works. W.Ming has three office spaces, one is in Beijing; one is in Shanghai and one is in New York. Xiaoming Zhang is a key figure in promoting Asian modern and contemporary art to the West. She and her team are committed to strengthening art value for international clients and in the field. Zhang’s responsibilities also include helping artists create the global market. Zhang began her art career by working as a member of the curatorial team at the Solomon R. Guggenheim Museum in 1996 on China: 5,000 Years (Guggenheim New York and Bilbao), an exhibition co-produced with the Ministry of Culture of the People’s Republic of China. She also worked as a co-curator for the related film series Dawn: Early Chinese Cinema 1926-1949. From 2003-2005, Zhang was a member of the Special Projects Group in the Director's Office at the Solomon R. Guggenheim Museum. As a manager of strategic development for Asia and a special projects team member, she helped plan the museum's proposed new facilities in Taiwan, Hong Kong, Singapore, and elsewhere. 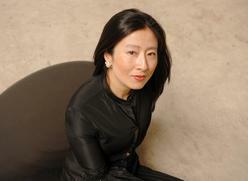 Zhang joined Sotheby's in 2005 to head its Asian Modern and Contemporary Art Department in New York. At Sotheby’s, she was also the Vice President, Worldwide Senior Specialist and Head of Asian Contemporary Art sales and Department of Chinese Contemporary Art. Overseeing historical sales in New York in 2006, she helped the field set new international standards, brought a wealth of significant material to the global market, and made worldwide records for artists such as Zhang Xiaogang, Ai Weiwei, Xu Bing, and many others. Zhang is an independent businesswoman for Sotheby’s, and she serves as an international advisory consultant for Poly International Auction Ltd. and for China Arts and Entertainment Group (administered by the State Council, Ministry of Culture of the People’s Republic of China [PRC] and financed by the Ministry of Finance of the PRC). Past projects for the China-Turkey Year include: Transformation: A View on Chinese Contemporary Art at Istanbul Modern and The Colors of Dunhuang: A Magic Gateway to the Silk Road at Mimar Sinan Fine Arts University's Tophane-i Amire Cultural Center. Additionally, Zhang serves on the board of the Asian Contemporary Art Consortium in New York and San Francisco. She is also on the board of Chinese Theater Works. Art+Auction honored Zhang as one of the global powers in the art world in 2005 and 2006. In 2006, she was honored as one of the top ten in the art world in Asia by CANS and one of the top ten in ArtAsiaPacific and in Almanac 2007's "Influence: Today and Tomorrow." In 2009, she was also honored together with Song Dong, Yin Xiuzhen and Yu Hong by Elle China as a Power in Art. Besides her business career, Zhang has lectured widely on art and the art market including presentations at Columbia University, Beijing University, Tsinghua University, New York University, Nanjing University, Central Academy of Fine Arts, Museum of Modern and Contemporary Art in Geneva, University of Pennsylvania Wharton School Global Forum, Cheung Kong Graduate School of Business in Beijing, Bank of China, among other institutions. From 2014-2015, Zhang served as an academic advisor for Milton Research on Global Art Market at Harvard University.